London’s skyline is becoming dense with silly shapes with sillier names – the Cheesegrater, Walkie Talkie, Shard and Gherkin. With a career in property development it is no surprise that I work with many architects, all of whom who I greatly respect and admire. They work hard, listen carefully, think about the people who will live in our homes, and exercise enormous creativity. I am also in awe of the work of the most celebrated contemporary architects such as Frank Gehry who make a statement and a show with their buildings. And yet there is something inherently reassuring and calming about buildings that don’t shout at passers by. The elegance of our Georgian, Victorian and Edwardian buildings form the “wallpaper” of my daily life. These building are classics. Well proportioned, stylish and practical. Take the Georgian house – how clever that the frontage is scaled so that it looks balanced and harmonious from the street, with windows which decrease in scale as we ascend. These tried and tested designs still work well today, and they worked well 300 years ago. We still use and enjoy these homes and find them adaptable and flexible, and their human scale appeals. As technology has got more sophisticated architects have been able to design ever more complex buildings that mark a very radical departure from the straight up and down look, with a pitched roof on the top. Computer aided design has reached new heights and they can create buildings of the most intricate design, especially producing very tall buildings with curved surfaces and non traditional materials. It is not surprising that dress designers have stolen some ideas from architects too. I am not picking on COS, because actually some of their clothes are lovely. But they are known for their Scando-architectural shapes, and this post is about architecture and clothing design. 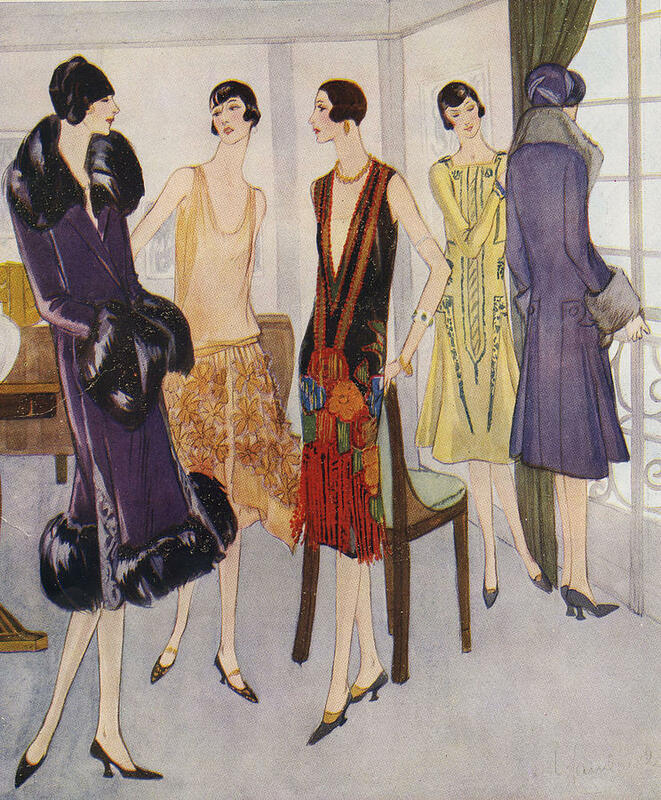 The 1920s silhouette flattened the bust and created interest at the hips, disguising the waist in the process, with geometric styling and a small head at the top. Ladies started to resemble buildings. It is worth mentioning that women were to some extent emancipated by the looser dress, shorter skirts and a somewhat masculine feel. The Art Deco approach to building design continued this trend, with weight at the bottom, geometric detailing and a small delicate, curved and decorated summit. 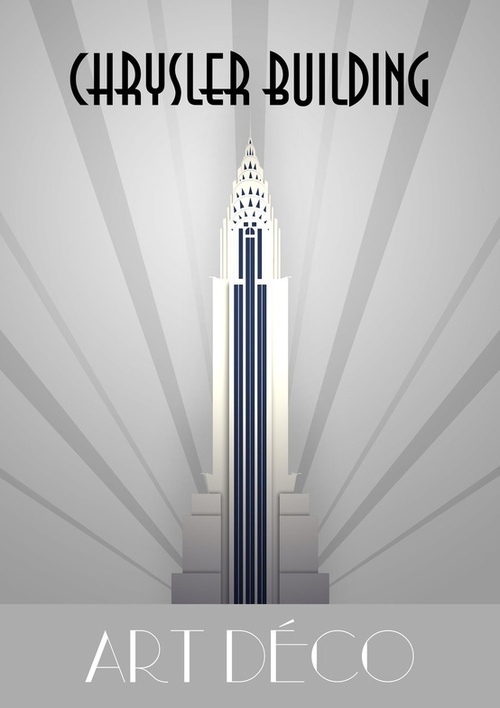 Here is the most iconic Art Deco building – The Chrysler – for comparison. The next time very straight lines returned to fashion was in the 1960s when first the “trapeze”, then the “shift” and structural fabrics became fashionable. At this time too – the so called swinging 60s – young women asserted their freedom from conservative styles of dress and chose somewhat “childish” or “boyish” silhouettes. I love the YSL 1958 Trapese line, for Christian Dior. 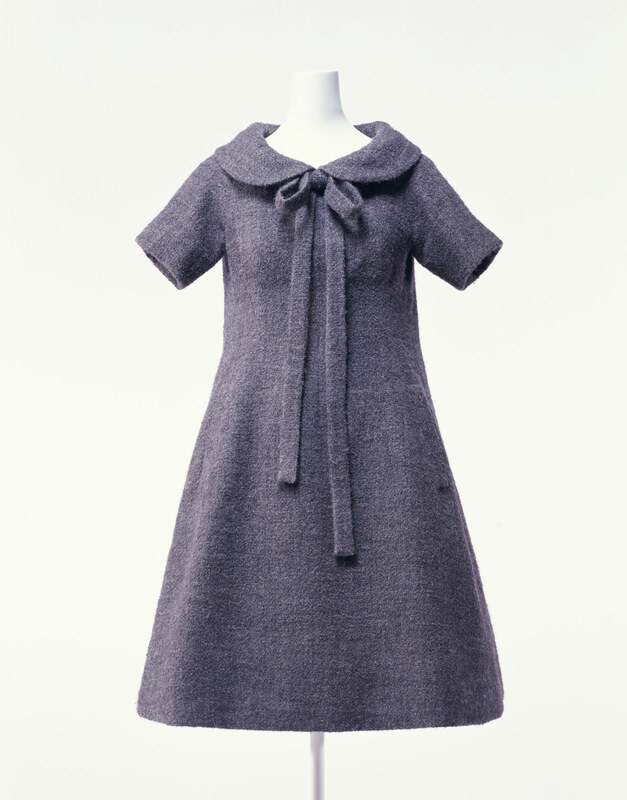 In the photograph below we have an A line dress in grey tweed with a very exaggerated structural flare. It manages to be flattering due to its beautiful cut, but I think it looks better on the stand than it does on a female body. 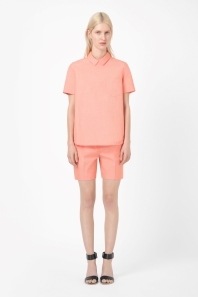 The more modern advent of “awkward” clothes is exemplified by COS and other retailers. Here again the hourglass shape is disguised and negated by the most brutal of lines. The body is made to fit into a box. The basic design principle (in my view) of emphasising the waist is subverted by ignoring it completely. In addition the shoulders (normally smaller on women than their hips), are exaggerated to make the line straight or even taper towards the hem. Flattery of the bust – by darting and other shaping – is eschewed so that the bust is first accommodated and then ignored. The opportunity to emphasise the slimness in the middle is ruthlessly avoided with dresses that refuse to bend. The curve of the derrière is skirted around and the strongest lines are often horizontal. The hem is designed to cut across – of course – the least flattering point, often the mid calf. 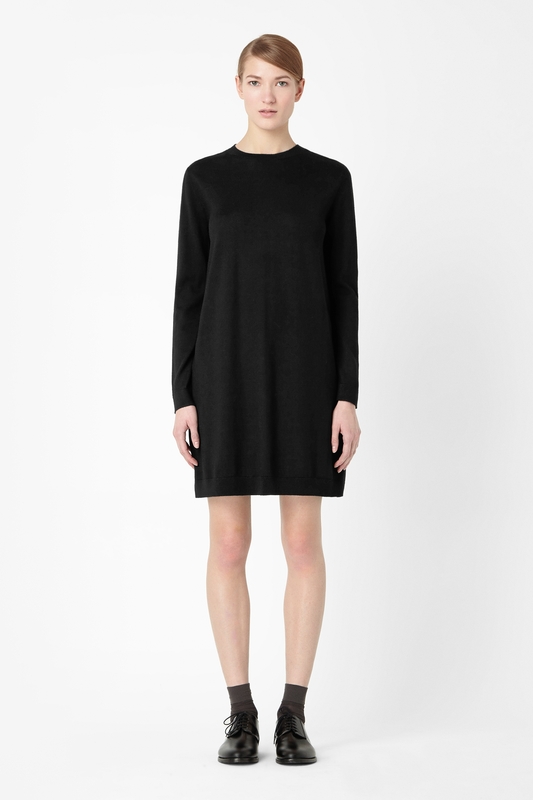 Add some outlandishly wide sleeves and a pair of low slung clumpy shoes you have the awkward look. I enjoy variety and experimentation, and at one level these designs are nice and orderly like my beloved Georgian facades. But even on the tallest, slimmest, blank faced model with invisible lips, these garments look aggressive and unattractive. They draw attention to the emaciated girls, who appear lost in a diagram. I think that some of these clothe can be awkward, but when you have a body shape that is the opposite of hourglass – my waist is proportionately two sizes larger than my hips, and I have a pot belly too – I rather like styles that ignore the waist. Whenever I choose clothing that emphasises the waist I feel physically restricted and self-conscious, always sucking in my stomach and similar. 20s and 60s styles – and the Japanese aesthetic and other clothes that emphasise shapes other than the “female” shape – are ones that I feel much more comfortable in. Straight and asymmetrical lines can work quite well on the short/plump/middle aged – well, at least they do for me! As I understand it around 80 per cent of women are hourglass shaped, leaving the other two out of ten either “straight up and down” (Princess Diana), or rather larger in the shoulders than the hips. I always like to see what you are making, thornberry, and I would say you have nailed it in terms of styling, shape and fit for your body type, and you always look lovely. Dressmaker’s deep understanding of our own raw material ensures our clothes conform to us, rather than the other way around. It is interesting how you like Japanese designers and the decades I tend to avoid! I have a few patterns that might suit you better than me that I could send your way if you let me have your address. Thanks for replying – my body shape is not the most common one around as a percentage, although if you translated the percentage into numbers of women it would still be thousands of thousands I suspect! It is more common as a post-menopausal shape, when waists thicken and stomachs often slacken – so just imagine how apple-y I may become once I get to that stage of my life! Thanks also for your compliments on what I make for myself. It’s an ongoing journey, I suspect. And yes, thank you so much for your lovely pattern offer – I’m always happy to take patterns off other people’s hands! If you send an email to thornberrylara at optusnet dot com dot au I shall send you my address – but be warned, it is in Australia so you may think twice!